You’ll either get a little 3ml bottle of wonderful Coco Gloss hair oil or 5ml of the effective Hyaluron Bloom Face Toner for free. The perfect sample size, that will definitely last a while. And the test will be worth it! 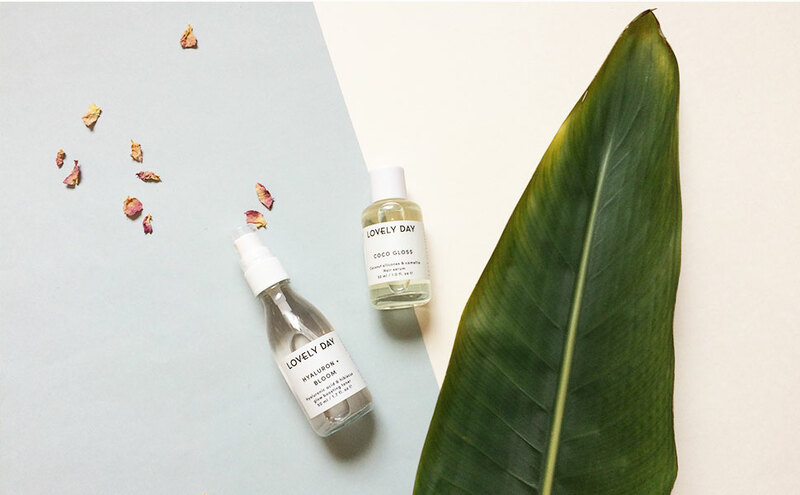 We are already in love with the carefully compiled recipes of Lovely Day Botanicals, because the bottles do not only look good in your bathroom, they are also super effective! Only plant-based ingredients are allowed! No animal products, no alcohol or synthetic substances and also no aggressive essential oils are being used in the production. That’s the reason why Josy’s creations smell so delicately and are perfectly suited to sensitive skin. It was quite a while ago, when Josy started to mix her own cosmetics. Her aunt’s pharmacy was her test lab, where she began to work on her own shampoos as a little girl: When she grew older, she even put together her own crème for her sensitive teenage skin. Today, she has turned her hobby into her career and we couldn’t be happier about it! If you’d like to know more about Josy and her amazing products, check out this. * All orders over 65€. As long as stocks last.